Do you need a cybersecurity attorney on retainer? Distinguishing the technical experts from those responsible for legal obligations and risks will help companies develop better breach response plans. Understanding the role of an external cybersecurity firm will only help. Clearly, bulletproof cybersecurity is a long ways off. Perhaps it won’t ever be achieved. But even with a seemingly impenetrable security system in place, you still need an attorney focused on cybersecurity issues. Sure, internal counsel can help you minimize your company’s legal risks. 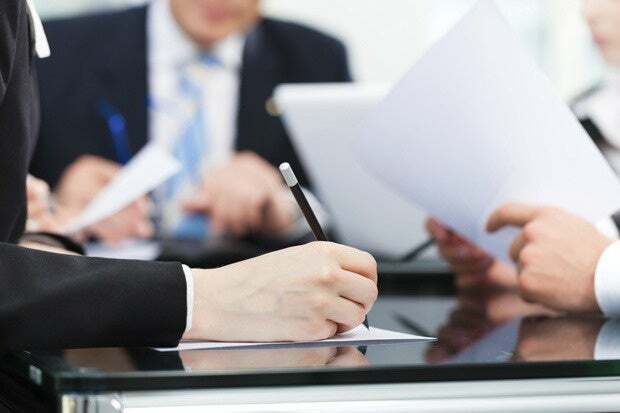 But partnering with an external firm boasting security expertise can also help the CIO navigate through several unfamiliar legal areas, such as compliance with local, state and national privacy laws and security requirements, civil litigation over data and privacy breaches, and corporate governance. Because time is not a friend in any breach situation, companies that have cyber security attorneys on retainer are better positioned to quickly and efficiently respond to incidents. CIOs are clearly responsible for the technical aspects of cybersecurity, of course, but as Sheehan says, “negotiating with the government or a complicated investigation that requires more manpower” demands the expertise of a cybersecurity attorney. JJ Thompson, chief executive officer at Rook Security concurs. “To not have a cybersecurity attorney on retainer is foolhardy at best,” because organizations need somebody who is a specialist in what Thompson identifies as the four main areas of concern: breach scenarios, personnel policies, cyber liability insurance and working with government. Maintaining privilege is paramount in the aftermath of a breach, but understanding the differences between a possible incident, an actual incident or a breach will drive the company’s response. Cybersecurity attorneys work with organizations to develop their incident response plans, which determines who speaks to whom when and about what. “The plan should be very basic and the attorney is a key part in designing the plan,” Thompson says. The old adage, “proper preparation prevents poor performance,” resonates when it comes to breaches and complying with privacy regulations. Companies and organizations ranging from Target to Sally Beauty Supply to Sony to the U.S. Office of Personnel Management (OPM) have seen their reputations tarnished by major breaches. And the class action lawsuits that followed shifted the courts’ perception of harm, which in turn changed the established interpretation of the law and gave rise to the field of cybersecurity law. “The government is going to look at how prepared you are to detect intrusion. Do you register attacks? Do you encrypt data? Most companies have outward-facing policy to the public, but if you are not being preventative, you’re ignoring the issue and you subject yourself to being hacked,” says Mark Harrington, general counsel at Guidance Software, which develops and provides software solutions for digital investigations. “Not all data is equal. How is being collected? How is it being stored? Discarded? Those who guard data have been viewed as criminals when they got hacked, and that’s not fair,” says Harrington. As the standards for cybersecurity continue to be established, perspectives have changed. “Now, if you had your act together and still got hacked, we’re going to treat you as a victim,” insists Harrington. Cybersecurity attorneys are experts in incident response, and, as Thompson says, “Counsel and public relations should run the incident. IT provides them with the information to make decisions, but in reality, 99 percent of incident response and forensics is run through IT, not counsel.” The risk in IT running the incident response is that they are not versed in the policies and procedures of custodianship of data.